Ssangyong's fine ceramics are advanced materials with the high technologies. Its advanced skill has been accumulated by long time experiences, continuous studies and applications to commercialization of new materials. 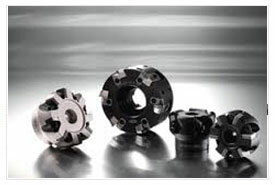 Accordingly, Ssangyong fine ceramics have a good reputation in the machine tool industry (by ceramic cutting tool), automobile industry, home applications such as ceramic parts for MWO, faucet industry, copper industry, textile industry, chemical industry, semiconductor industry and electric & electronic industries as well. 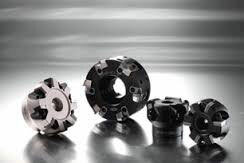 The most remarkable outcome of accumulated technologies is ceramic cutting tools (inserts). Ssangyong has about 10 kinds of material grades of ceramic cutting tool such as ST series for steel and cast iron, SD series for ductile cast iron, SZ series for hardened steel, and SN series for chilled cast iron, alloy steel & FC, FCD, FCMB irons. 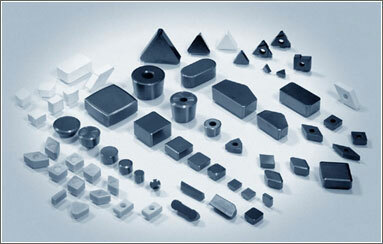 Ssangyong Ceramic Inserts offer exceptional advantages for bulk production line of cast iron components for Turning, Milling, Grooving and various other applications as can be used for higher speed and feed, better stock removal and obtain much superior finish. This is due to the expertise on various compositions together with geometries and coating. 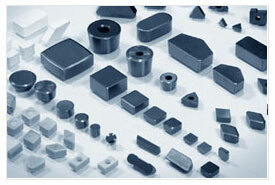 Similar results can also be obtained for machining of harden super alloys.